IDENTA LC Nano Hybrid Composite is a light-curing filling material combining proven composite and innovative nano technology. IDENTA LC Nano Hybrid Composite is radiopaque, highly filled and methacrylat based (Bis-GMA, TEGDMA, UDMA) and cures under blue light (halogenor LED). 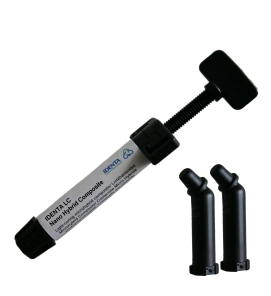 IDENTA LC Posterior Fill is used with a dentine/enamel bond.